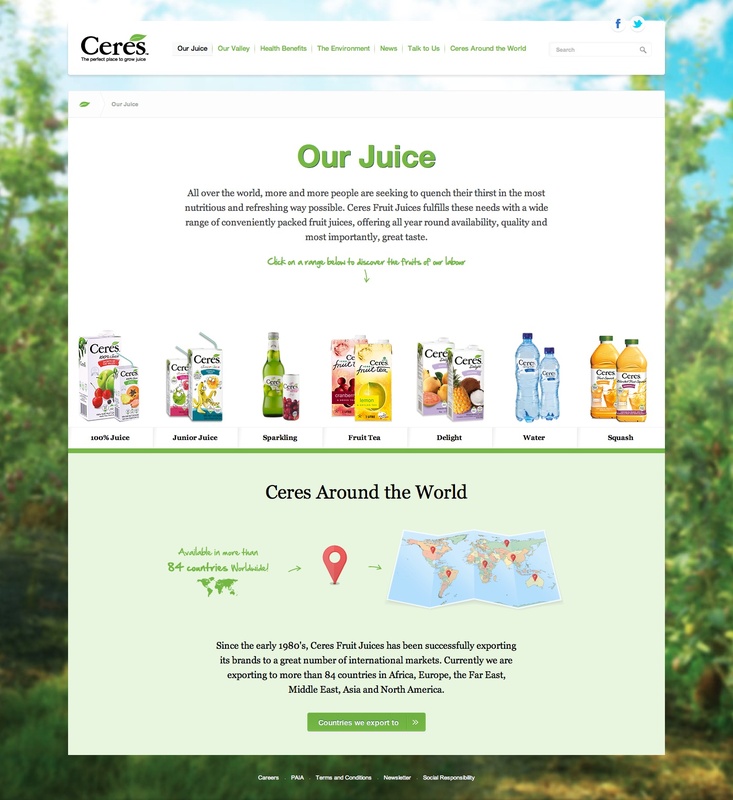 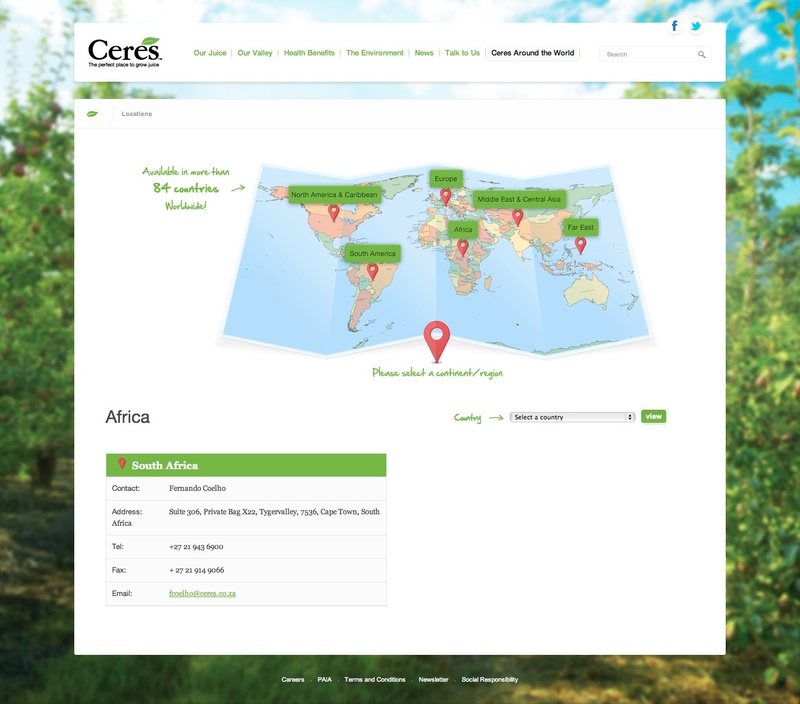 The Ceres Juice company desperately needed a fresh new website that allowed consumers and distributors from South Africa and around the world to learn about their brand and see their products online. 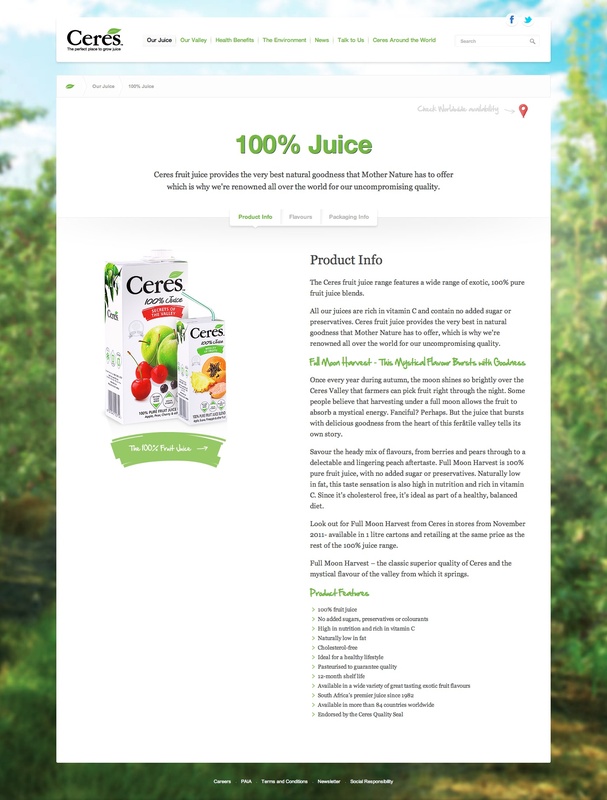 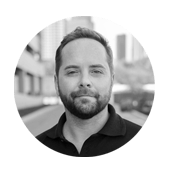 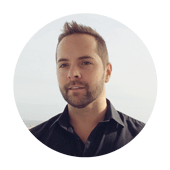 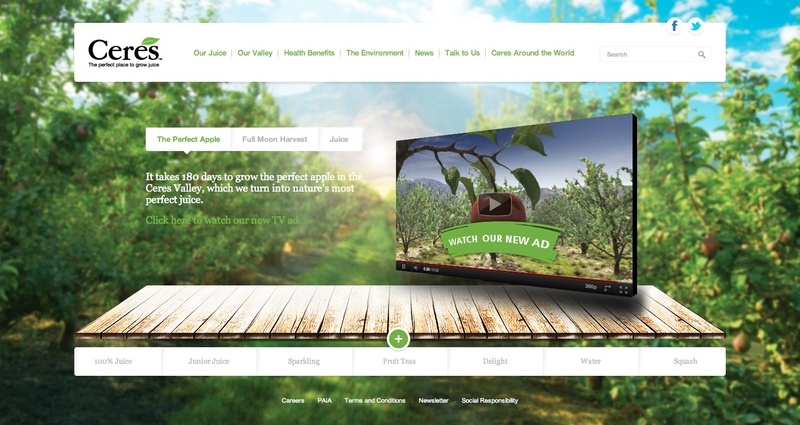 The project was built in WordPress and was designed to showcase the Ceres product range and benefits as well as infuse the feeling of “The Valley” which is at the core of the brand narrative. 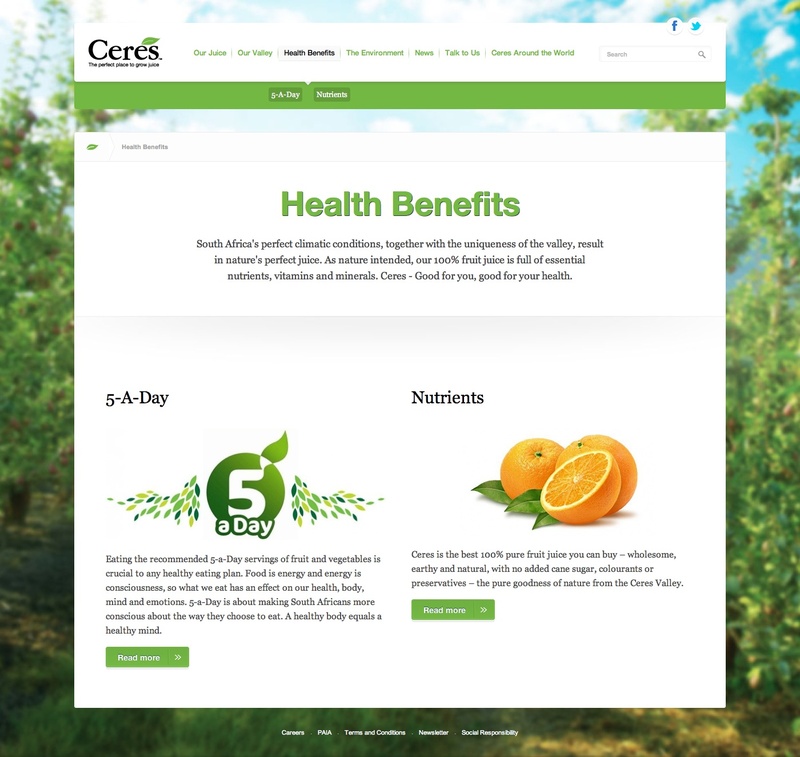 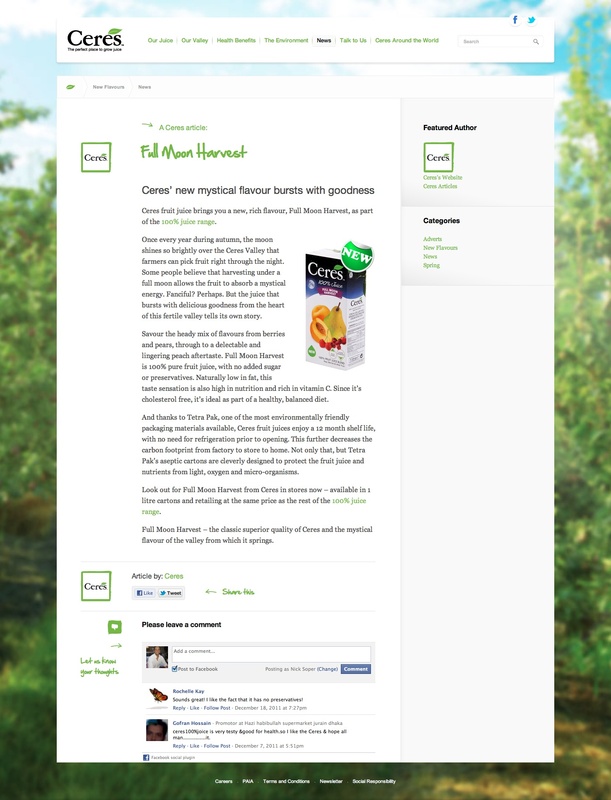 The homepage and news section allowed Ceres to let people know about TV Ads, Promotions and new products easily and socially.